Menulibre: invalid desktop files detected! 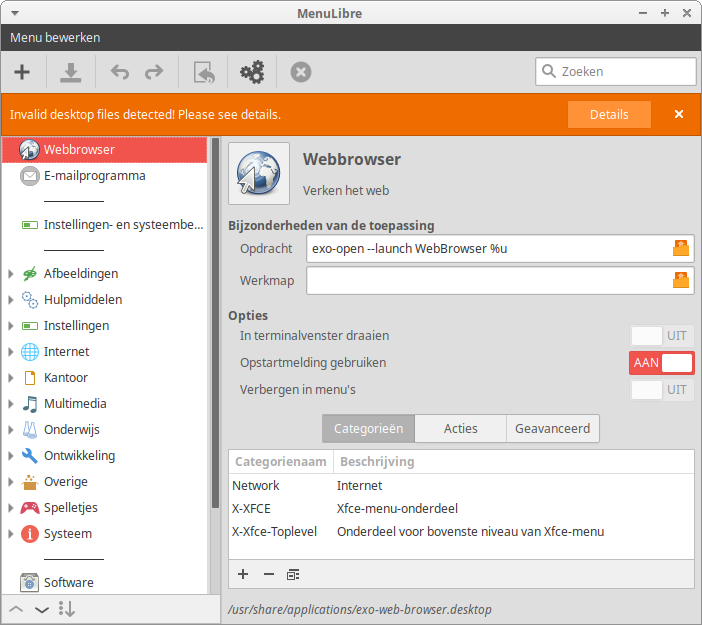 On starting menulibre I get a warning: Menulibre: invalid desktop files detected! I think these invalid desktop files are part of the initial installation of menulibre/xubuntu. As a simple end user I do not know what to do with this warning. This file is provided by the vim-common package, which is required by vim-tiny package, but provides a launcher for the vim binary, which is provided by the vim package. After reviewing the package for vim, it doesn't seem like there's a good way to resolve this issue for the vim source package. So this leaves two options. 1) Xubuntu provides vim instead of vim-tiny. 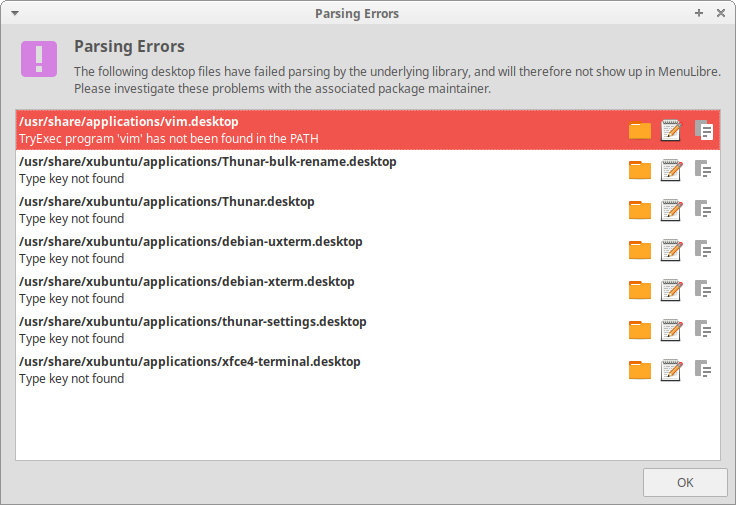 2) MenuLibre adds a way to ignore errors, and Xubuntu provides this override for the base install. It's still reasonable to leave this bug open since the provided .desktop file is invalid. I'd be willing to test the fix, if that is at useful. If so: could you advice me how to go about this? Vim's desktop file is actually working as expected here. The TryExec key is used to determine if the desktop file is usable... and when the vim binary is missing, it is not. Just the message about "vim" remains.